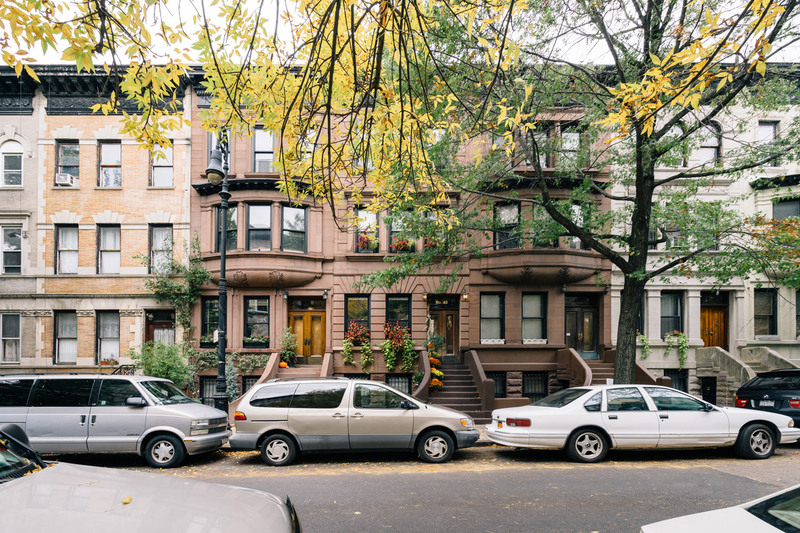 If you're looking for Hamilton Heights Apartments, this historic neighborhood has many options. 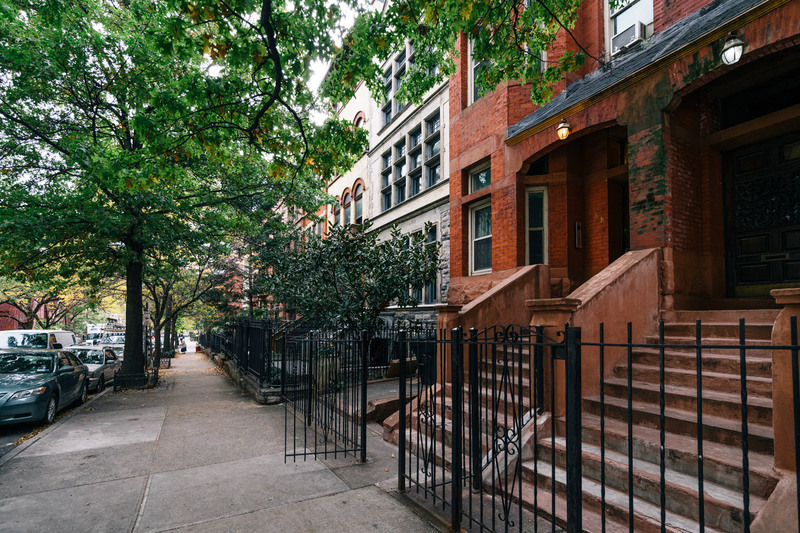 Much of the property in the area dates back to the late 19th and 20th centuries with apartment blocks, brownstones and row houses in a variety of architectural styles such as beaux-arts, Queen Anne and Romanesque Revival. Many of the most elegant residences are in Sugar Hill where you'll find period details like wood-burning fireplaces and crown moldings. Those wanting a more modern feel can rest assured that many older properties have been extensively modernized to include features like chef's kitchens, roof decks, and floor-to-ceiling windows. In 1658 the Dutch governor Peter Stuyvesant established the village of New Harlem, which included the area that became known as Hamilton Heights. The extension of the Bloomingdale Road in 1791 made it easier to access the area, and wealthy residents began to build grand estates and country retreats there. Among them was Alexander Hamilton whose home, The Grange, is one of the last remaining houses from that era. It's from him that the neighborhood gets its name. One of only eight officially designated scenic landmarks in New York, Riverside Park is a beautiful getaway from the hustle and bustle of the city with a mix of grand tree-lined boulevards, an abundance of greenery and views of the Hudson. Across the street from the City College of New York's campus is St Nicholas Park, a wooded green space that features basketball and handball courts, playgrounds and a dog park. 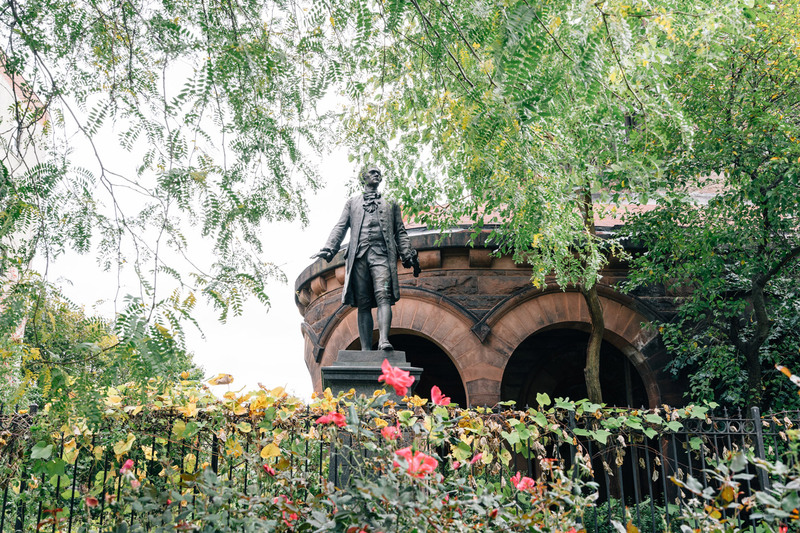 It also contains the home of Founding Father Alexander Hamilton, now designated as the Hamilton Grange National Memorial. There are many greenmarkets in the neighborhood including Sugar Hill Greenmarket, which has stalls selling fruit, vegetables, baked goods, honey and fresh cut flowers. It also has cooking demonstrations featuring easy-to-make healthy recipes made with produce from the market. Housed in an 1891 brownstone in Sugar Hill you'll find Jumel Terrace Books, an antiquarian bookstore specializing in local history, both African and American. Open on weekends the shop also hosts books signings, events, and exhibitions. Cyclists should visit Talent Cycles where you can get expert help on how to fix, tune or upgrade your bike. The store is the official dealer for brands like Giant and Cannondale and also offers rentals with which you can explore the nearby Hudson River Greenway. Opened by long-time Harlem residents, Tsion Café provides the neighborhood with a delicious fusion of Ethiopian and Mediterranean flavors along with international wines and beers. In the summer months, you can enjoy your food and drink in the fern-filled patio out back. It also acts as a venue hosting art events, poetry readings, and live music. Local favorite, Hamilton Bakery, is the place to head for pastries, cakes, and cookies all baked fresh on the premises. The venue also serves coffee, lunch sandwiches, and a bottomless brunch on weekends. The Grange Bar and Eatery serves area-sourced comfort food along with microbrews and craft cocktails in a roomy, rustic space. It also has a private dining room known as The Study, which takes groups of up to 12 people. Finally, ROKQ styles itself as the kind of restaurant found in a traditional Japanese port town, where the west meets the east. They specialize in fresh hand-selected oysters from the East Coast, ramen noodles that reflect the regional variations you might find in Japan, and the more western tradition of classic cocktails made with a contemporary twist. For over 50 years, jazz fans have been going to St Nick's Pub in Sugar Hill, the neighborhood that was once the home of jazz greats like Duke Ellington. Seven nights a week the venue plays live jazz featuring a roster of musicians dedicated to keeping the music alive in its purist form. Hogshead Tavern features an endlessly rotating selection of carefully curated craft beers, sourced from local and international breweries in a contemporary space.They also offer an extensive whiskey and bourbon selection and simple, shareable plates like pulled-pork tacos and pigs-in-a-blanket. Anchor wine bar offers a truly extensive wine list along with classic Italian food and an upscale brunch on weekends, while The Honeywell is a basement bar with a seventies feel that offers a mellow break from the fast-paced streets with classic cocktails and retro small bites like deviled eggs.